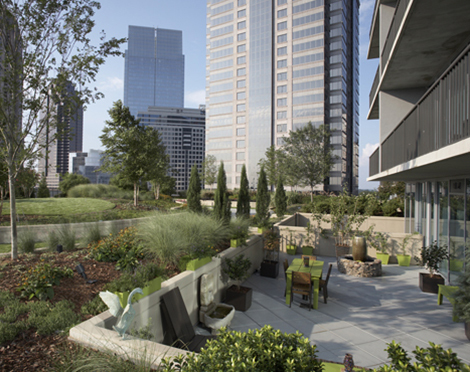 1010 is the first project completed in the quest to revitalize Midtown’s work/live/play community. 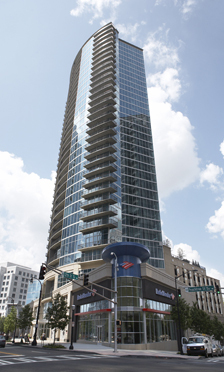 Project highlights include a 586,000 sf 35-story residential tower with 86% saleable area. The tower includes 441 luxury residential units, a 30,000 sf outdoor amenity plaza, and a 5,000 sf Club Room and Fitness Center. The 40,000 sf of street level retail makes shopping and dining easily accessible to residents, guests, and street pedestrians. 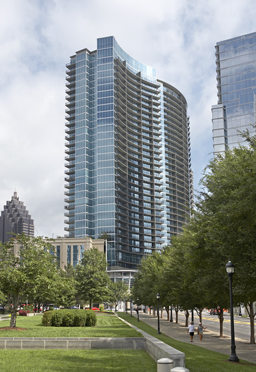 For those who reside at 1010 Midtown, parking is abundant with a 285,000 sf, seven-story parking structure.